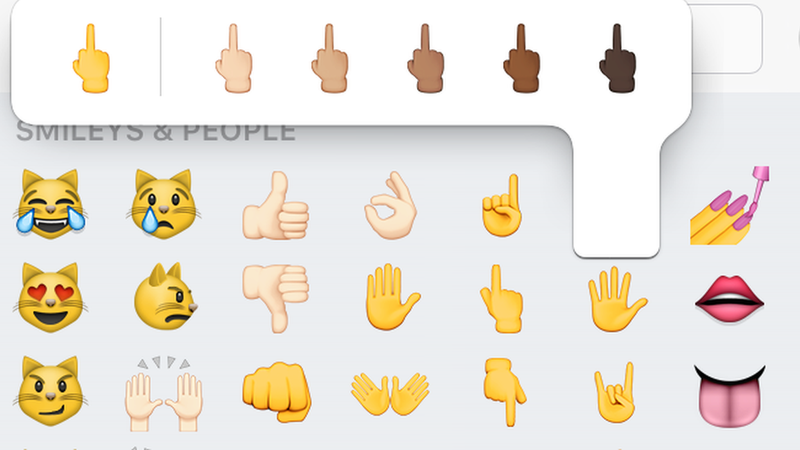 The newest iOS update is out, and while some changes are significant, the one getting the most attention is being able to visually flip people off. iOS 9 has had its share of problems since launch in September, and today, it has released it's third update in the last month. While many will be thrilled with the critical fixes, most may just be downloading it because they can now emoji "the bird" to someone that makes them mad. That's a pretty big list, in contrast to the previous 9.0.1 and 9.0.2 updates. In addition, iOS 9.1 will be needed for the new Apple TV. And while many are rejoicing over the technical leaps as well as the crass ones, there are still a few who may be unhappy. There is still no beard emoji. I wonder how many will find this offensive. And not the 'OK' hand sign. Inb4 'We live in the west. ", totally disregarding that Apple sells world wide. I find it rather fitting. It's a racially diverse way to harass people. Seems like it'd fit better on Twitter or Tumblr.